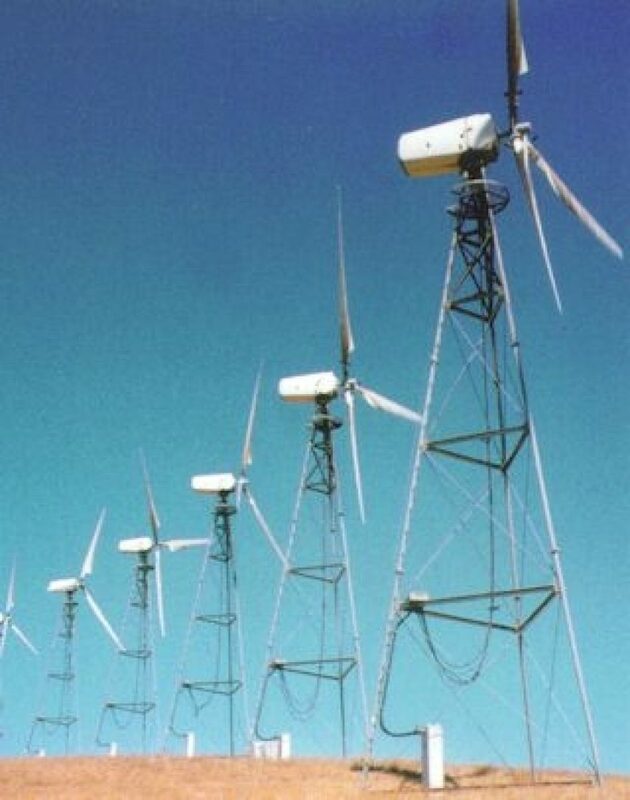 This wind turbine electrical generators were entirely constructed using hot dipped galvanized steel. The tower structures are fabricated of three components measuring from three to four feet in diameter, with heights as large as 72 feet. 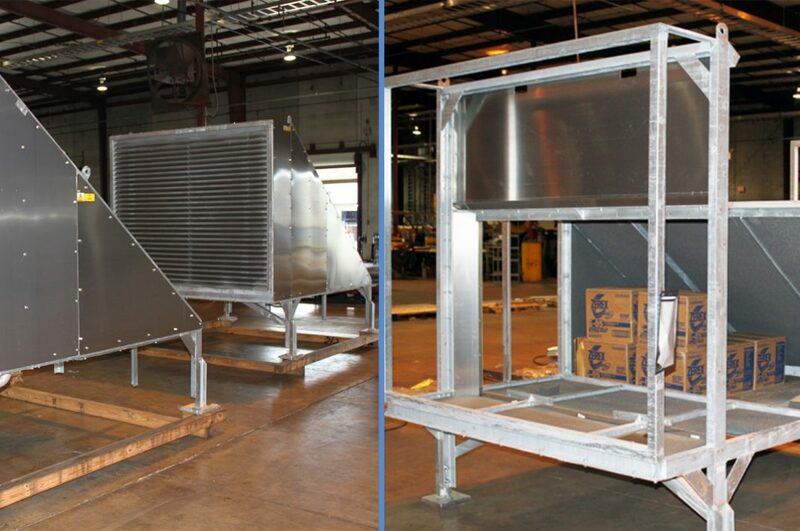 The hot dip galvanized coating covers the turbine nacelle, access platform and miscellaneous steel. There are more than 7,000 turbines located in the Altamont Pass area. In the summer months, the turbines are exposed to abrasive winds along with a hot, dry climate. During the rest of the year, the electrical structures are exposed to cool, foggy and windy conditions. A visual inspection revealed the galvanized coating still exhibited the traditional spangled appearance and has weathered well. Coating thicknesses on the turbines were measured to be between 4.0 and 5.5 mils. A previous inspection was conducted more than 10 years ago and no significant coating depletion was recorded. 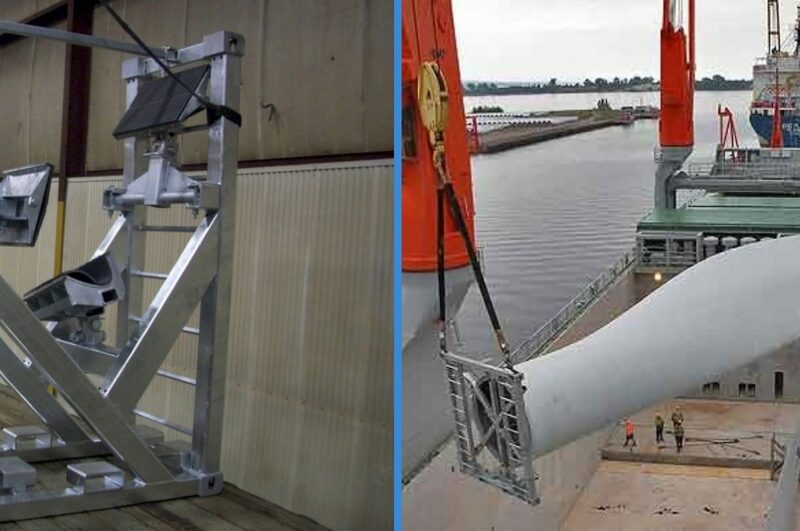 Considering the type of environment the turbines inhabit, the galvanized coating should not require any maintenance over the next 40 years. The majority of the 7,000 turbines in this area were hot-dip galvanized, and none of the were found to have a coating problem. The remaining turbines were painted and displayed paint blistering, as well as base steel corrosion in less than three years after installation.